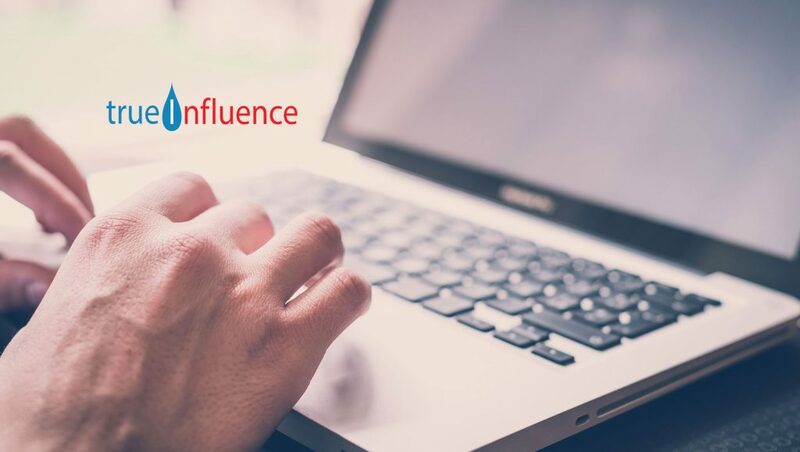 True Influence, the technology leader whose intent data platform and lead generation services dramatically improves account-based marketing (ABM) and business-to-business (B2B) marketing performance, announced that it is launching a new version of the company’s flagship Data-as-a-Service (DaaS) solution: InsightBASE Version 2.0. A groundbreaking platform for B2B sales and marketing, the InsightBASE Version 2.0 account accelerator platform allows marketers to learn the ideal timing when prospects are looking to buy their product or service. InsightBASE Version 2.0 combines the most advanced data and analytic technologies to create a comprehensive monitoring solution that specifically identifies Intent Signals, which are proven pieces of data that indicate buying interest and purchase acceleration. These signals are collected in real-time as the result of web-based activities – such as web impressions, searches, email opens and more — to create a profile showing which companies and locations are actively in the market for a specific solution. InsightBASE Version 2.0 provides that overview, gathering and analyzing millions of intent signals daily, including web searches, read articles, content downloads, social media activity, and more. It then organizes the data into topics relevant to the B2B marketer’s areas of interest. Identify and explore intent trends in companies, locations, and international markets. Aggregate full contact records of prospects, including such detailed information as company headquarters location, branch locations, company size and revenue, et al. Highest quality standards for our network of intent data providers ensures broad market coverage and accurate business intelligence. Bulldog Solutions, a B2B marketing agency, used InsightBASE Version 2.0 Intent Signal analysis to select and target new customers in a six-month ABM program highlighting the agency’s creative services. The company saw impressive results with an email open rate of 39 percent (about four times the industry average) and a click-through rate (CTR) of 22 percent. The agency recognized 42 meetings with new prospects over six months as a result of the campaign, with a pipeline of $14.8 million and closing $3.5 million in new business.